One of the most confusing safety ratings given by the Insurance Institute for Highway Safety is head restraints & seats. You don’t exactly buckle your cranium into a harness when you get in your car, after all! So what does this rating mean? This test would be better named whiplash, because that is what it is fundamentally measuring. Neck sprains are one of the most common injuries sustained during fender-benders (and more serious accidents for that matter, but whiplash can happen at relatively low speeds). The quality of seats and headrests, as everybody but IIHS calls them, make a big difference in your likelihood of neck injury. The IIHS first measures the seats, looking for headrests at least as high as the head’s center of gravity, and set close to the back of the head, minimizing the distance the head must travel in a crash. Then, it mounts the seat onto a “sled,” where a 20-mph rear-end collision is simulated. A person riding in a car seat with a good or acceptable rating in this category has a significantly lower chance of neck injury. 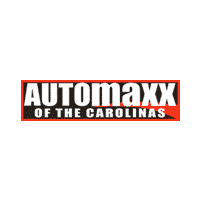 When you’re shopping pre-owned cars, trucks, and SUVs at Automaxx of the Carolinas, be sure to visit iihs.org to find in-depth safety ratings of most makes and models for the past two decades.